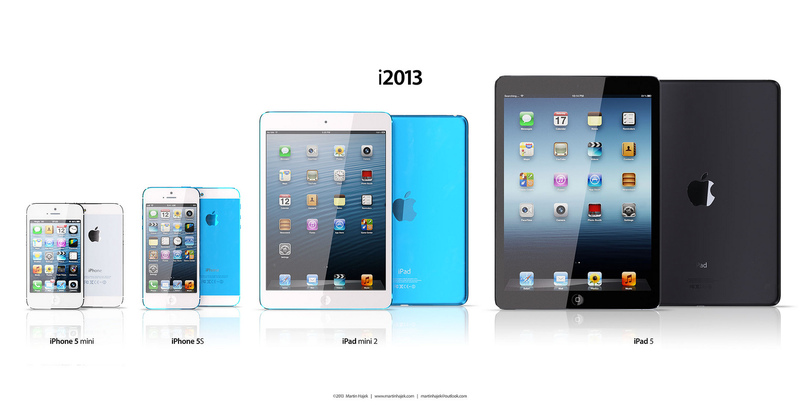 There is one thing that we already now about 2013 and Apple, and that is 2013 will be the year full of speculation around the next iPhone 5S, the iPad Mini 2, and the iPad 5, and here’s some concepts for those Apple products expected to land in 2013. We’ve already heard that the iPhone 5S is expected to land in June/July 2013, with the iPad Mini 2 release date and iPad 5 expected as soon as March 2013, but not many rumors have speculated what these new devices may actually look like, probably because ascetically they actually won’t physically changegiven where we are in the product cycle. It is highly suspected that the next iPhone will continue the product cycle we all love to hate and adopt the ‘S’ designation to represent a bump in hardware to improve the specs, as opposed to a major redesign. Suspicions surfaced claiming it wil be the iPhone 6, but I suspect this will be saved for the 2014 generation, as expected. 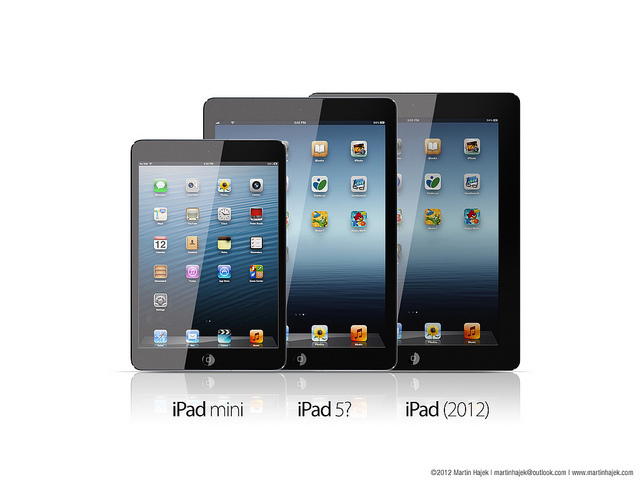 DesignerMartin Hajekhas mocked up these concepts of what is expected for Apple in 2013. Depicted is the familiar iPhone 5S accompanying the lingering rumor of a possible iPhone 5 Mini which has not really gained any traction as a potential release, but is a complete possibility. Both the iPhone 5S and iPad Mini 2 feature colored backs as rumored already, with the iPad 5 adopting the design of the current iPhone 5 and iPad Mini design. 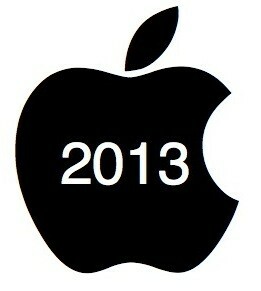 Apple is rumoured to be testing IGZO displays for its next generation of iPad, suspected to simply be called iPad 5. This is expected to enable the new iPad 5 to be thinner and lighter with better battery life. As mentioned, the iPad 5 may also see the adoption of the current iPad Mini and iPhone 5 design, as well as a smaller bezel. Similarly, and probably the most expected addition for Apple in 2013, is the introduction of the iPad Mini 2 with retina display and an upgraded processor. If these rumors and mock-ups are true, then it is shaping up to be an exciting but predictable year for Apple, with most devices simply getting their expected speed upgrades. The interesting iPhone 5 Mini is something where there is no real hard evidence supporting it, or even evidence why Apple would consider the device, but it could be the killer feature for Apple in 2013.